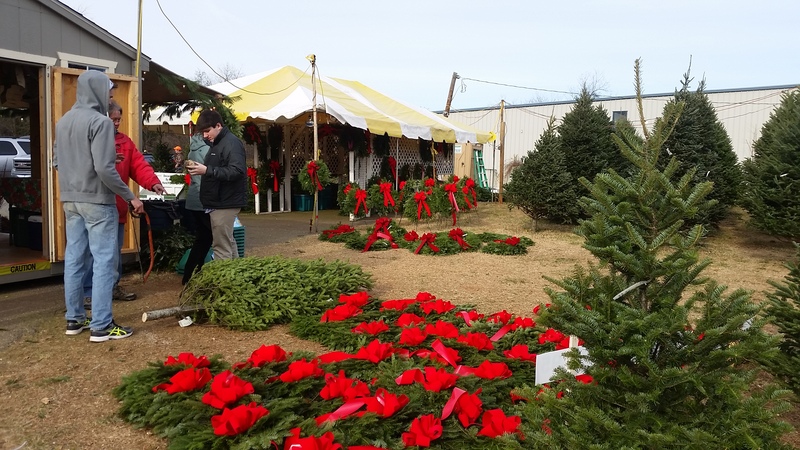 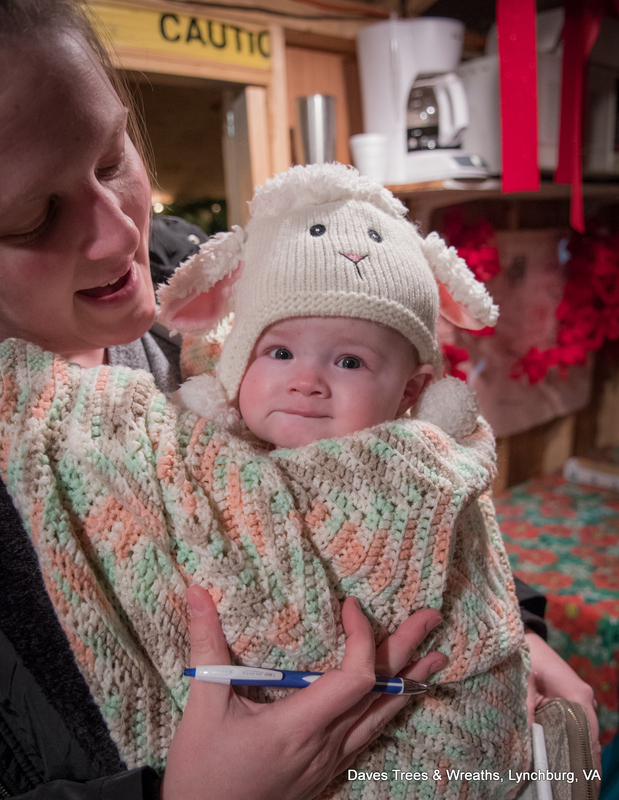 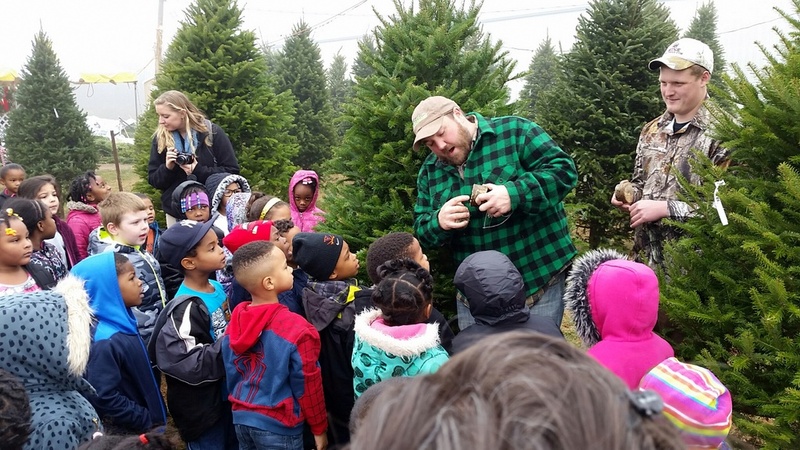 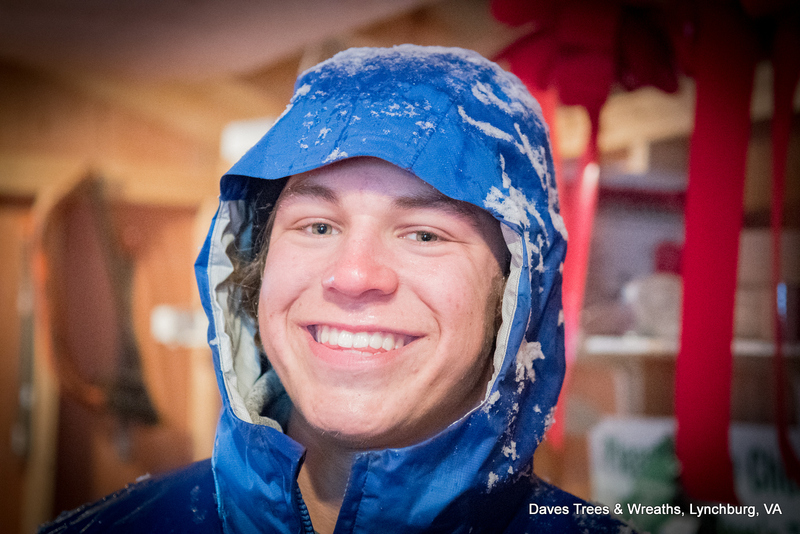 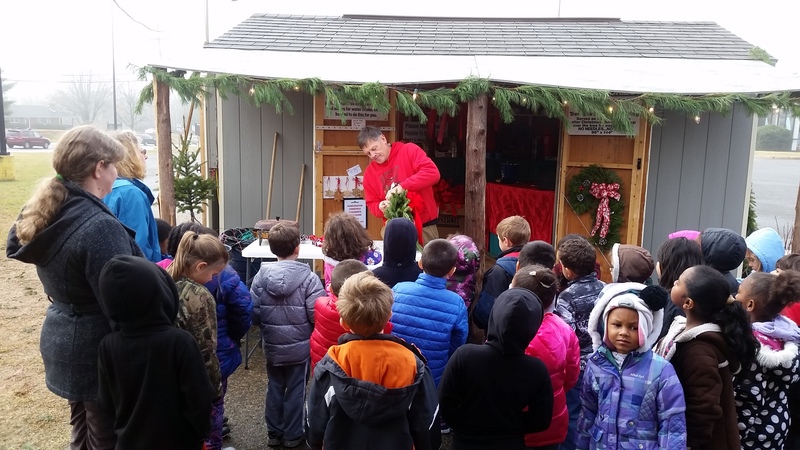 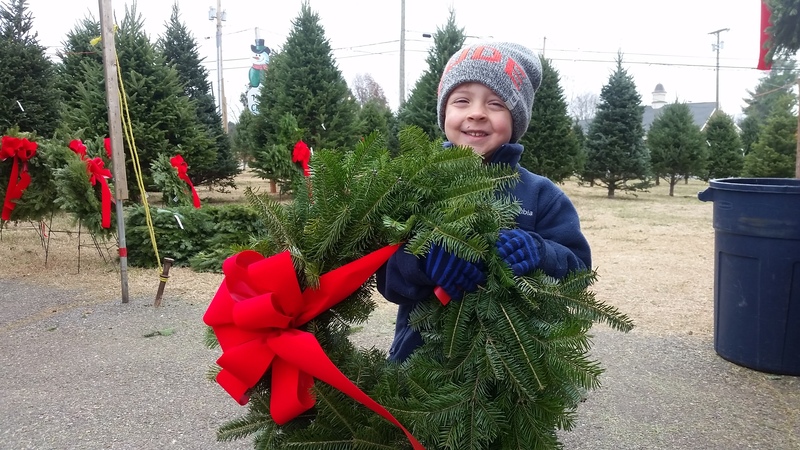 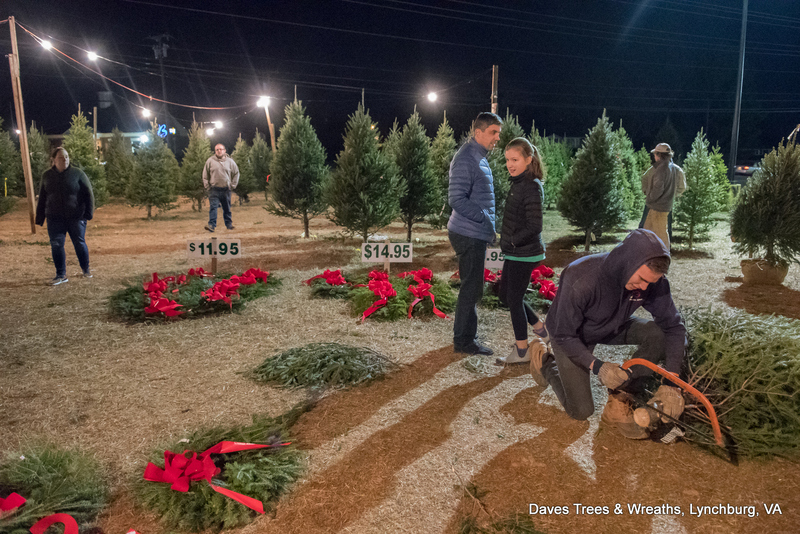 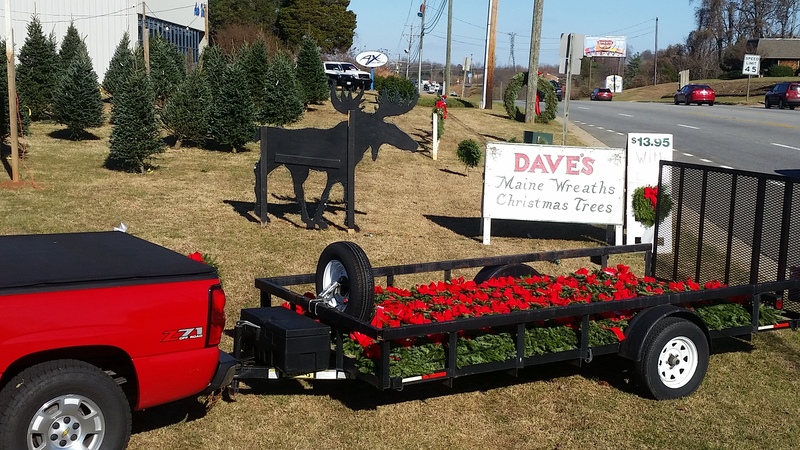 While Dave keeps busy throughout the year guiding canoe trips and moose hunts and teaching outdoor education, during the Christmas season you can find him busy selling trees and wreaths to the fine folks in Central Virginia. 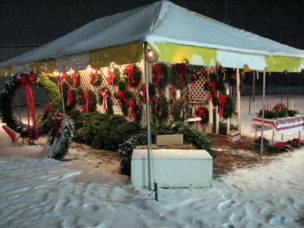 Our display looks like a Lynchburg Christmas tree farm with two convenient locations in Lynchburg! 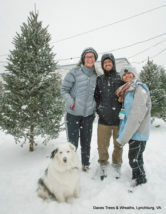 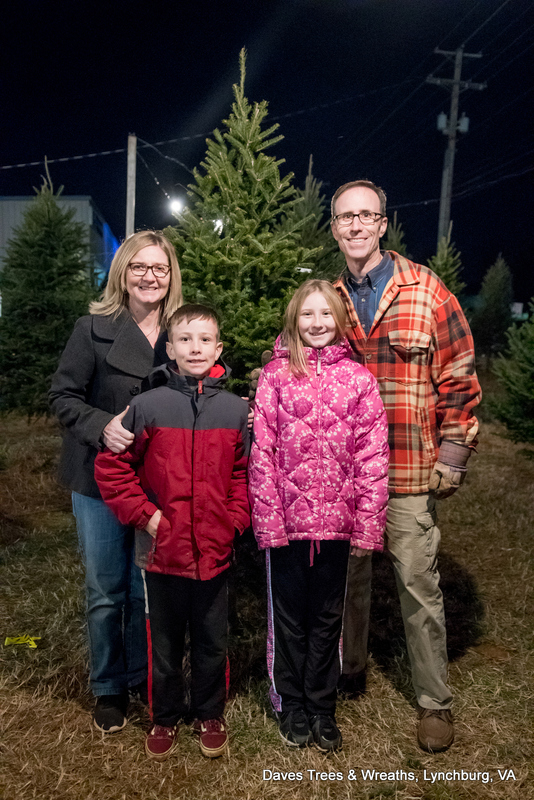 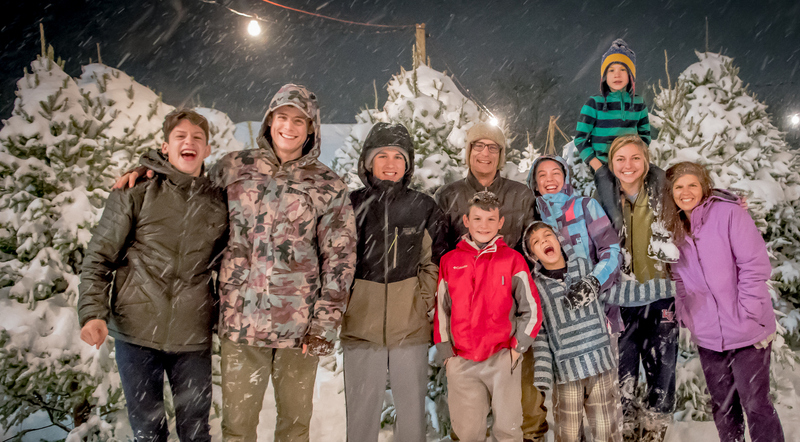 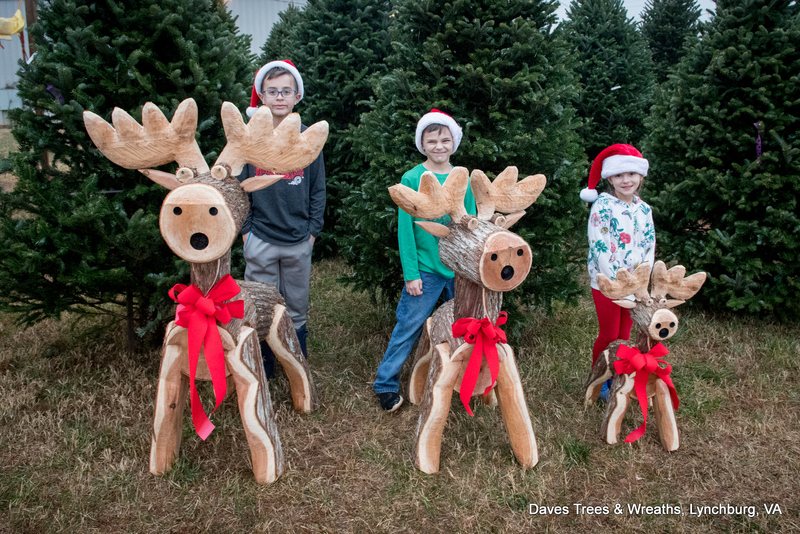 Dave’s Balsam fir and Fraser fir Christmas trees are grown on Christmas tree farms in Quebec & Nova Scotia and transported to Lynchburg just in time for the Christmas tree selling season. 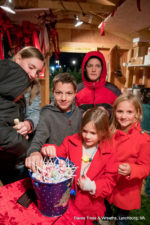 Our first day for the 2019 season will be Friday, November 29th. 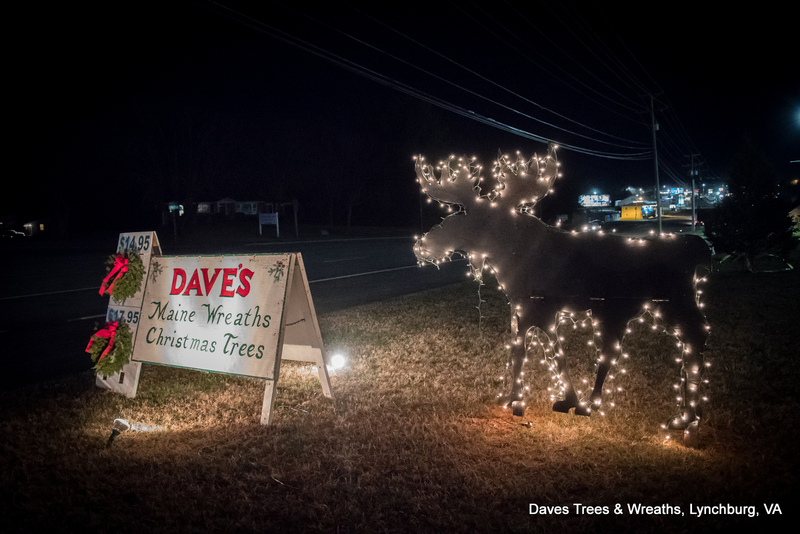 We’re open 7 days a week 9AM to 9PM except Sundays 11AM-8PM. 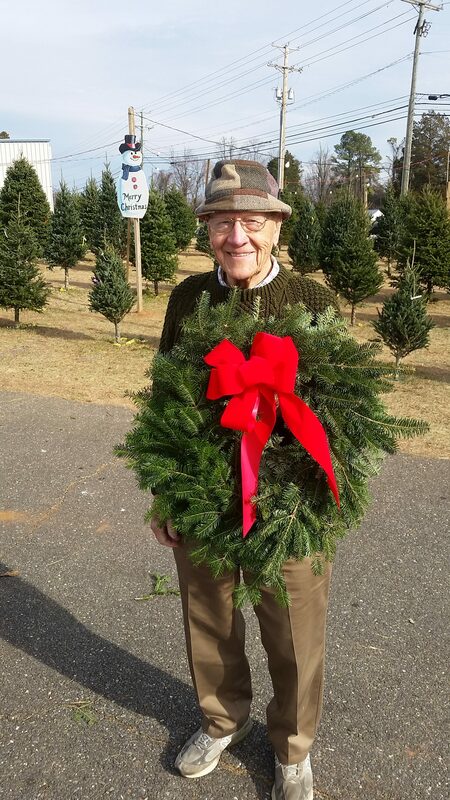 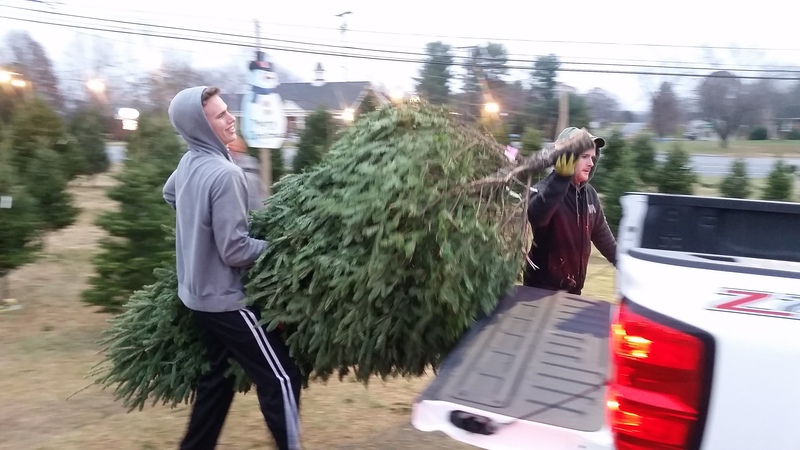 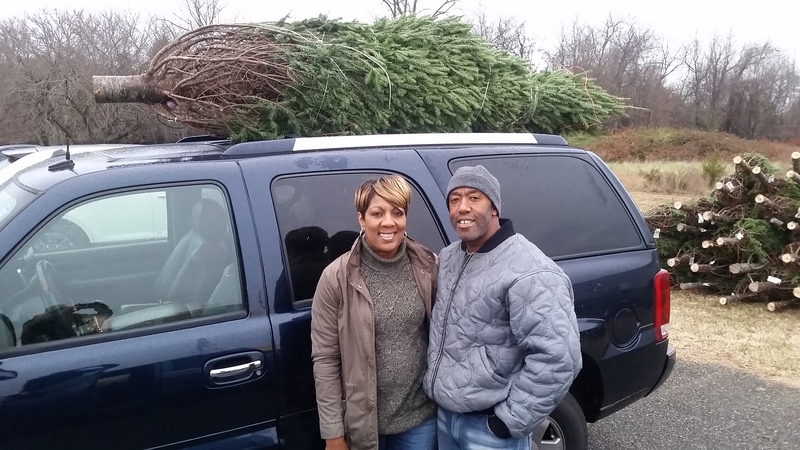 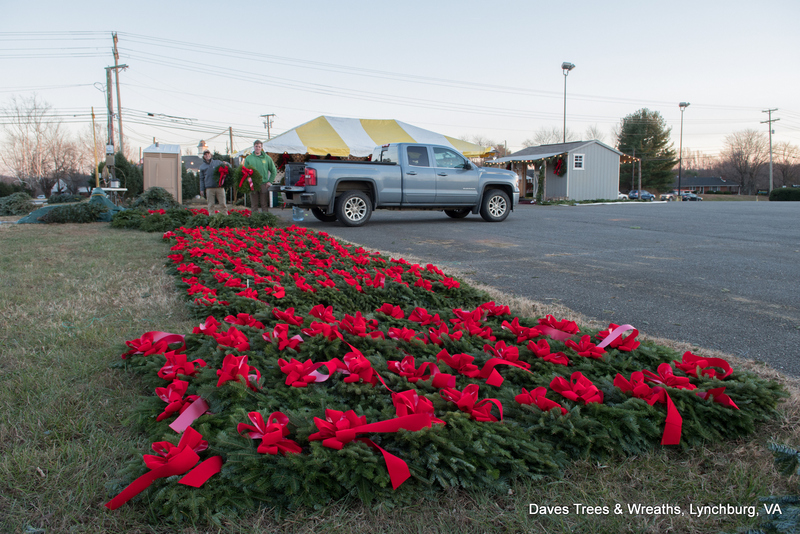 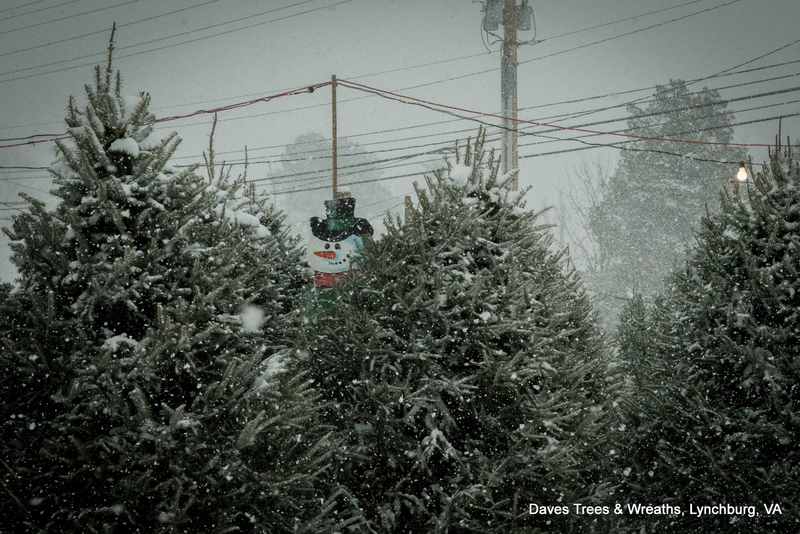 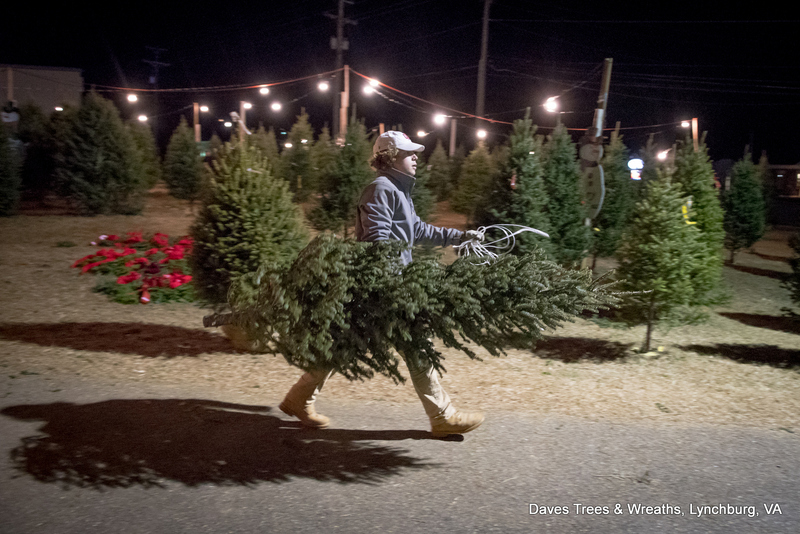 This is Dave’s 30th season of bringing fresh Christmas trees and wreaths to the fine folks of central Virginia. 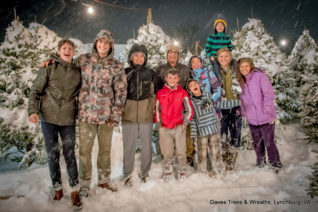 Our 2018 season was our best season ever! 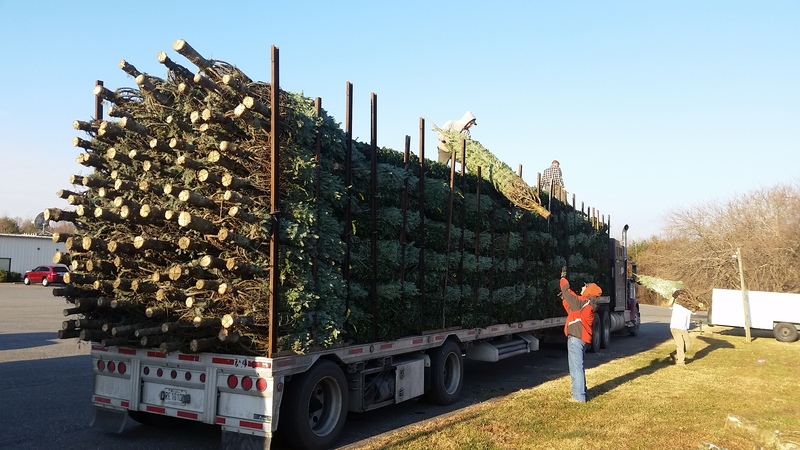 While the shortage of trees in the south is expected to go on for a few years, our northern tree farms will continue to provide us with a good supply of trees…quality and numbers for 2019! 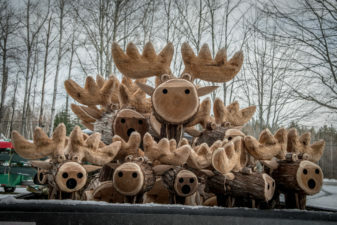 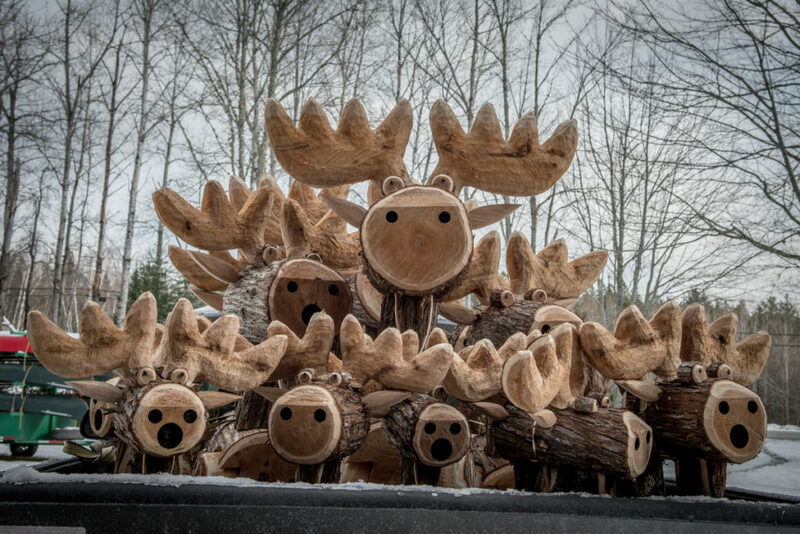 Maine Cedar Moose! 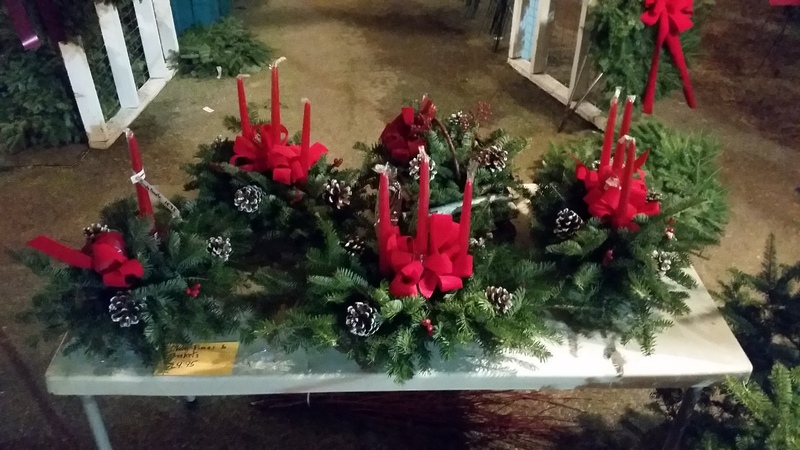 Call to reserve yours today! 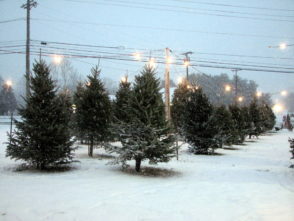 20722 Timberlake Road, Big Lots Parking Lot (Google Map), next to Joe Beans Coffee Shop. 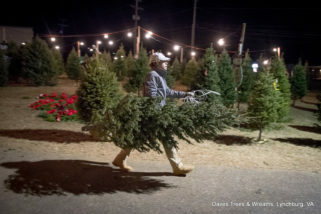 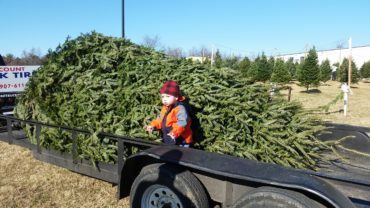 Fresh Fraser Fir Christmas Trees in Virginia, Balsam Fir Trees, with the first shipment arriving on Friday the day after Thanksgiving, and the 2nd shipment arriving the first week of December. 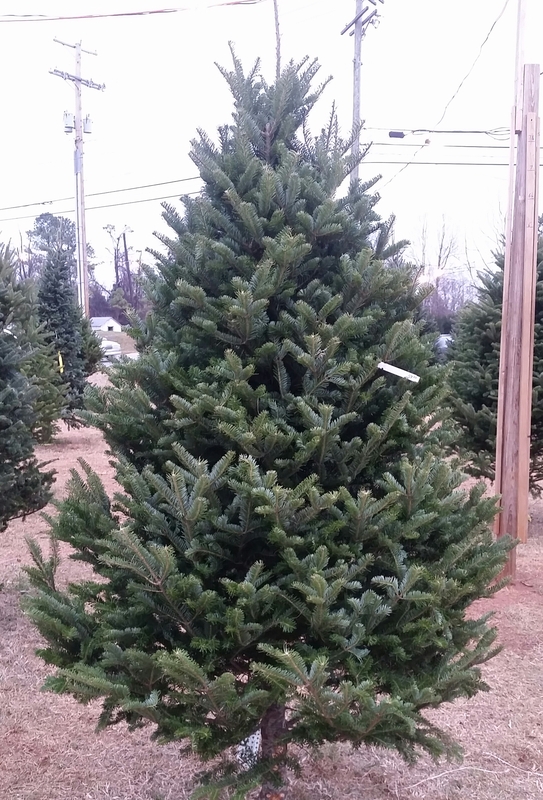 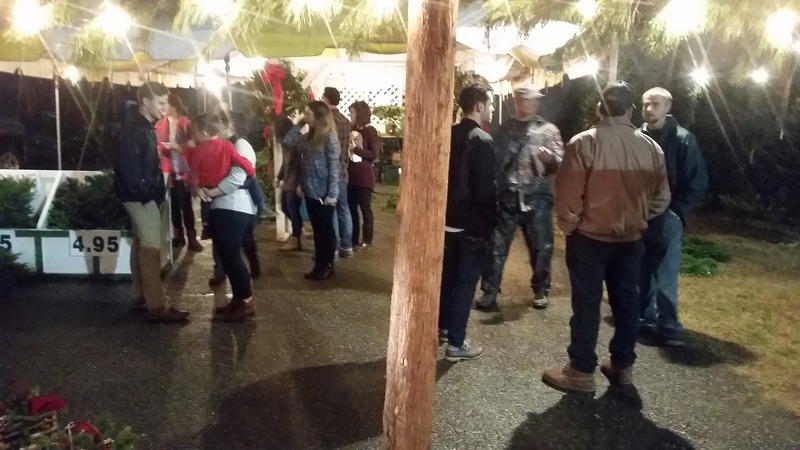 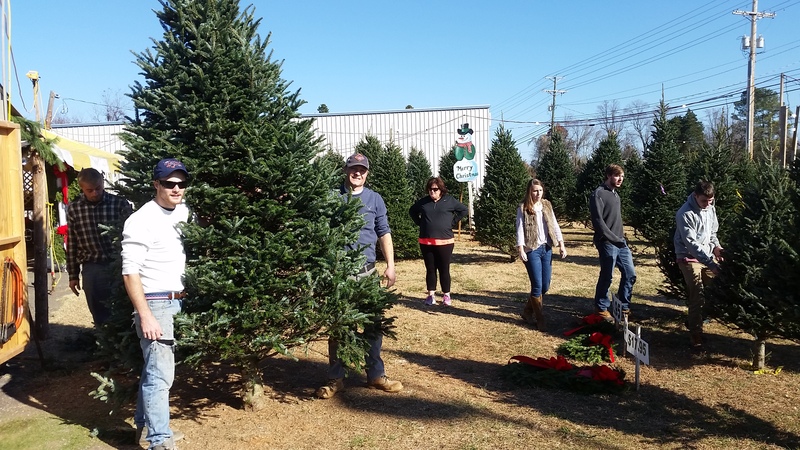 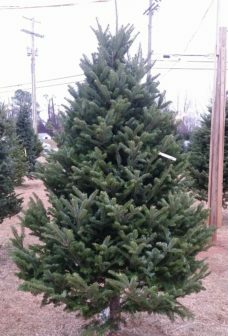 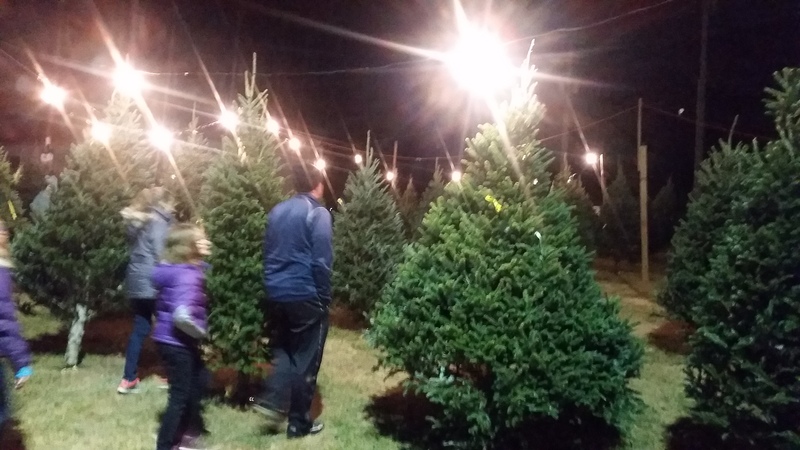 8′ trees average around $57.00, smaller and larger trees are priced accordingly. 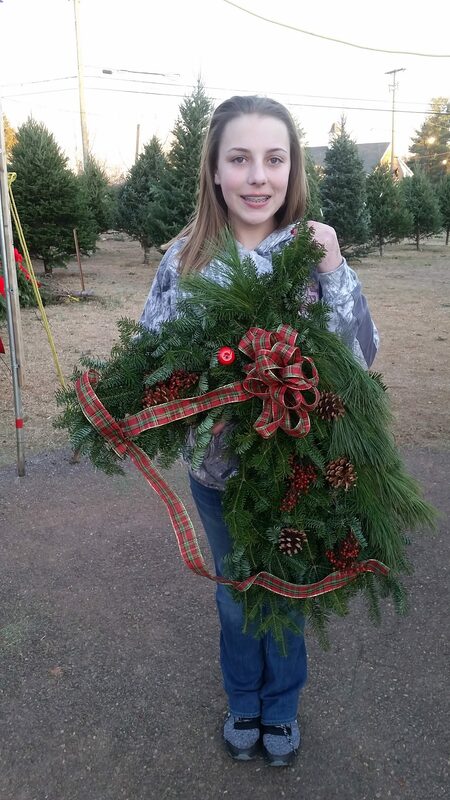 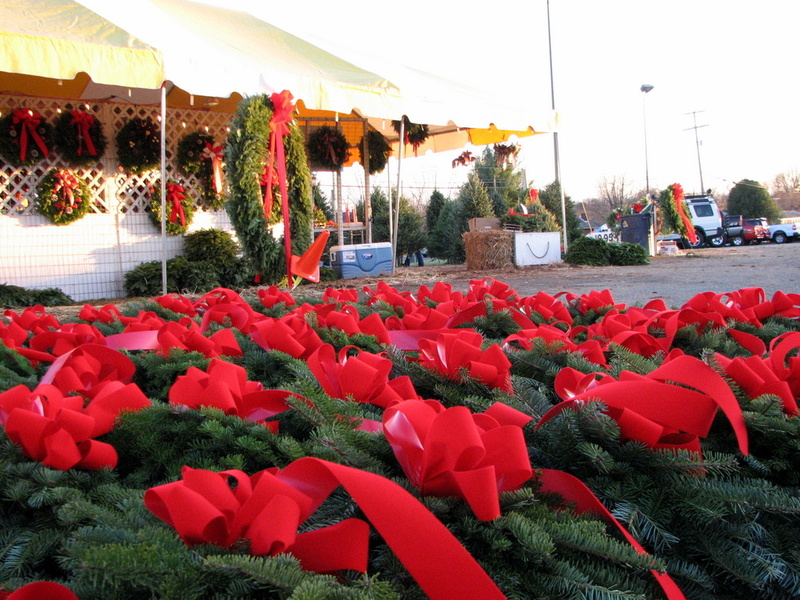 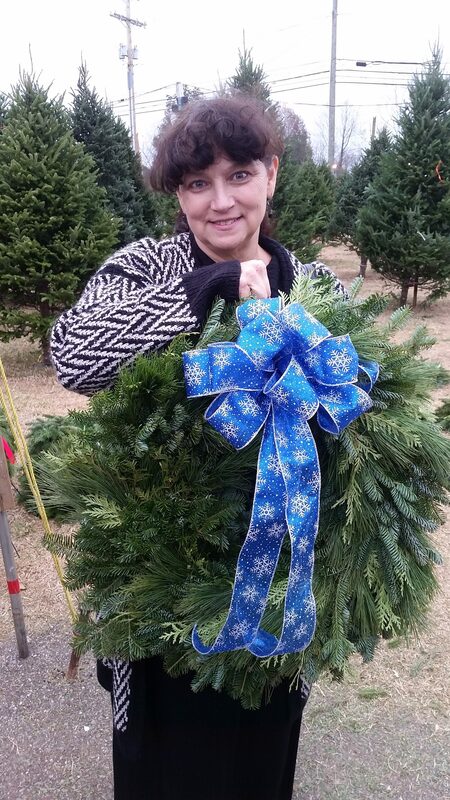 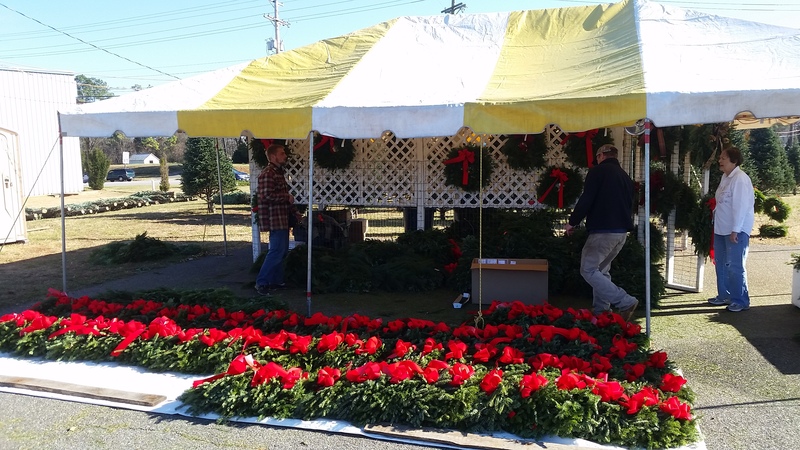 Christmas Wreaths starting at $14.95 for our 18″-20″ Dia. 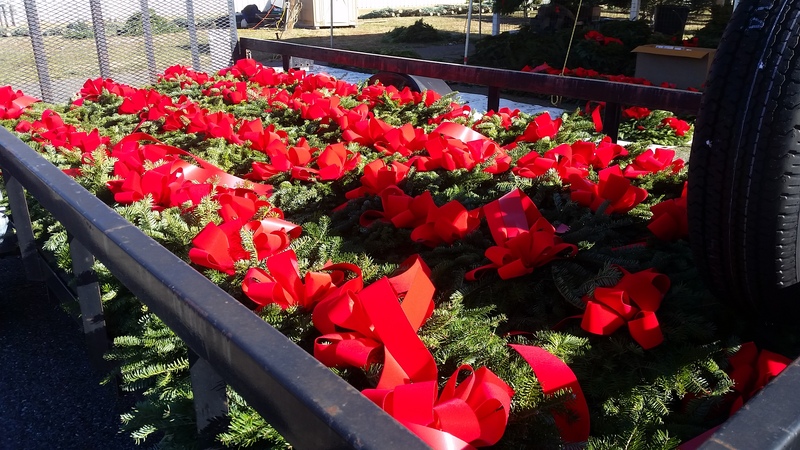 featuring our signature red bow. 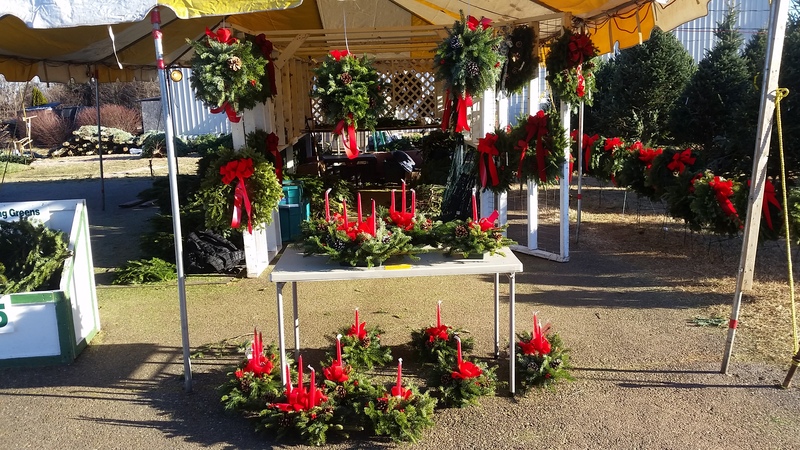 Centerpieces, window-sill sprays, decorating greens by the bundle, garlands cut to length (white pine, fir and mixed greens), memorial wreaths and bows made to order. 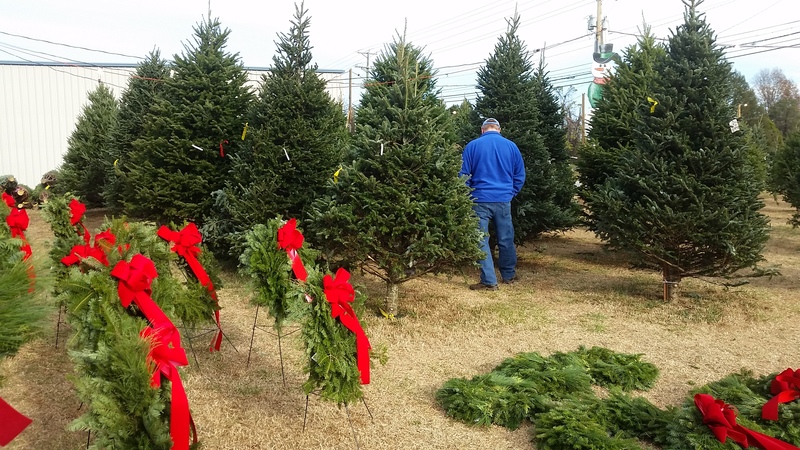 2019 WILL BE OUR 30TH SEASON bringing fine evergreen products to Lynchburg!